Who hasn’t met an all-about-themself narcissist? The Society for Recovering Doormats term for them is ‘A’ Listers. They aren’t starring in movies, and walking the red carpet but regard themselves as famous, powerful and better than every one else . These celebrities in their own mind are preoccupied with judging and determining other’s worthiness and clueless about important life values. Kindness, compassion and gratitude aren’t on their radar. Doormats fall prey to ‘A’ Listers manipulation and unwittingly permit them to play judge and juror. 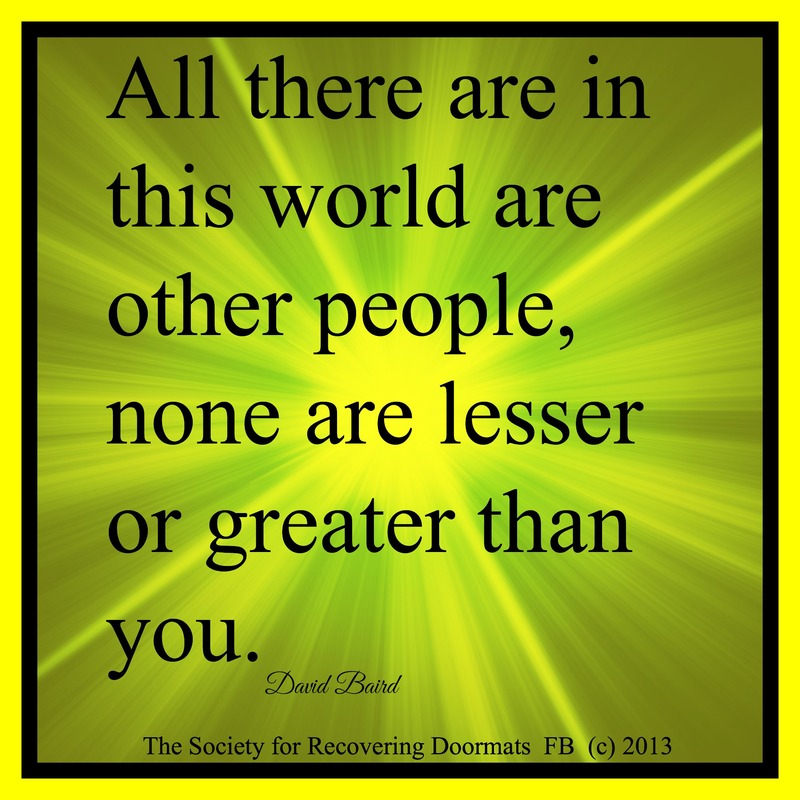 It is time to stop the madness and remind these individuals that “all there are in this world are other people, none are lesser or greater than you.” If you can’t stand up and speak out to them, please stand up and speak out to yourself. I will stop by your site and read it! Thanks so much for shouting out to me.